Looking for the ideal gift for that special occasion? We offer the Waterford Crystal range including John Rocha. Our stock also includes Tipperary/Louise Kennedy, Tyrone, Galway, Duiske. 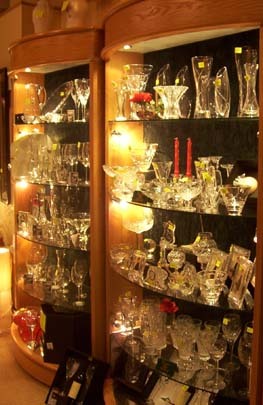 Our experienced and friendly staff are willing to help you choose a gift suitable for your price range.